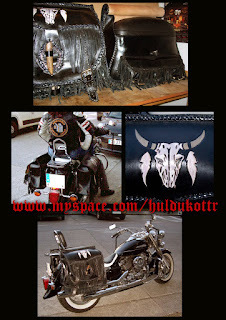 Something different for today's entry. 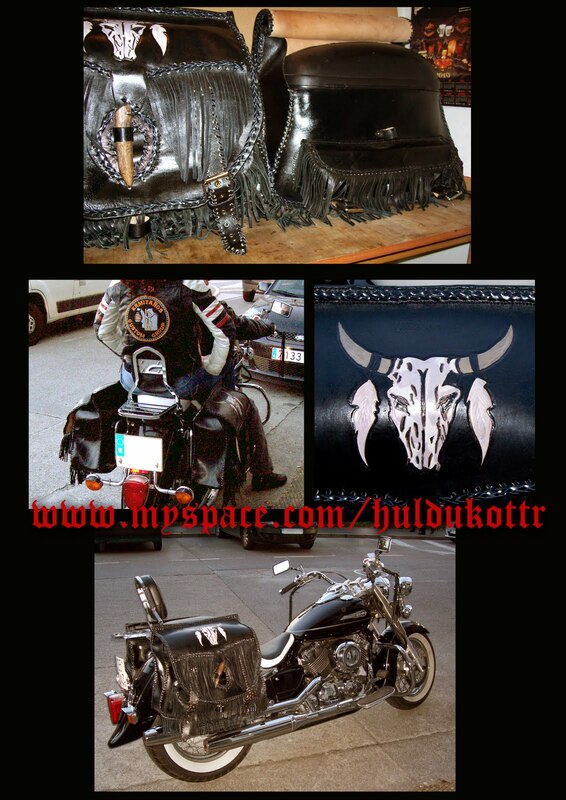 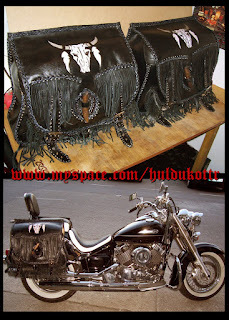 Making this saddlebags was a hard job because were made with the so called spanish sewing with leather tie, and spiral sewing in straps and front ornaments. Both are bigger than the usual, because aren't saddlebags actually, just wrappers for the real side fixed cases, therefore we must to match ourselves to the case's shape somehow and make it wide at the bottom.